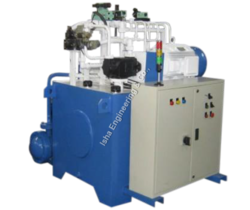 The Power Pack offered by us are widely used in filter and hydraulic presses. Easy to install, operate and maintain, these assures high performance, durability and reliability. Designed to perfection, these are precision engineered, dimensionally accurate and highly efficient. The power packs are safe in operation and is rust, corrosion and abrasion resistant and can withstand high pressure. Our power pack comprises of standard pumps, valves and accessories. Well designed for power saving the pressure is up to 500 Kg/cm2. Looking for POWER PACK ?